Servicebio is an international biotech company headquartered in Boston USA with a manufacturing facility in China. 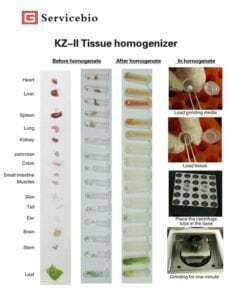 They have developed the KZ11 a flexible bead mill designed for rapid and efficient disruption of between 1-24 samples of human and animal tissues and cells as well as plant tissue, yeast and bacteria. Each sample is simultaneously disrupted and homogenised by high speed shaking with a bead in a disposable sealed tube. 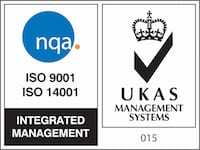 The system is fully programmable, there is no cross contamination and sample frozen in liquid nitrogen can be processed. 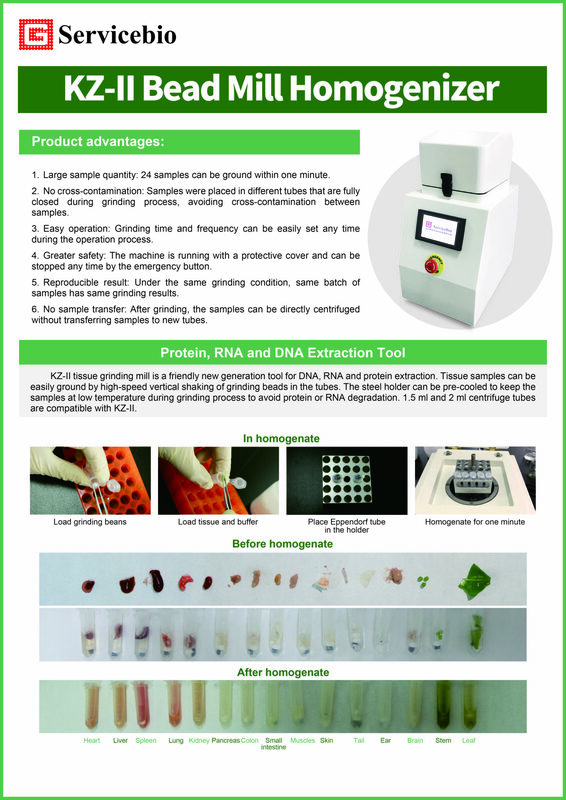 · Wide range of tissue and cells samples – Human and animal tissues and cells, plant tissues as well as yeast and bacteria can be processed. Bone can also be disrupted using steel beads and adaptor. Samples frozen in liquid nitrogen can also be processed. 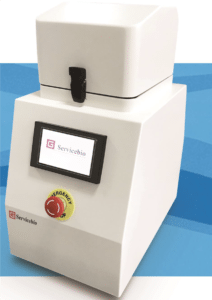 · Rapid and efficient disruption – Each sample is simultaneously disrupted and homogenized by high-speed shaking with a bead in a disposable, sealed tube (bead milling). The tube remains covered during the whole homogenization process. The steel tube holder can be pre-cooled to keep tubes chilled during homogenization. · Fully programmable – The system is fully programmable – eight recommended protocols can be tailored as desired to ensure optimal disruption of samples. · No cross-contamination – During sample disruption as each tube is securely sealed with its own lid. The tubes can be discarded after use, which prevents cross-contamination and provides time savings, as there is no need to clean tubes after disrupting samples. · Sample degradation minimized – KZ-II Adapter Sets and sample tubes can be precooled to minimize degradation of nucleic acids during sample disruption.